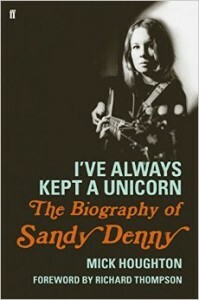 Thanks to everyone who came to Monday’s recording at the Slaughtered Lamb where we talked to Mick Houghton about his excellent new biography of Sandy Denny and were joined by Ashley Hutchings and Simon Nicol who played with her in Fairport Convention. To make sure you don’t miss any future podcasts, subscribe. You can stream the recording below.